For the third year in a row, BWMS sponsored Mercy Home for Boys and Girls’ Have Mercy! fundraising event, which took place April 28 at the Grand Banking Hall. Mercy Home provides safe, nurturing residential treatment housing to boys and girls in the Chicagoland area. Children living at Mercy Home receive social services, school support and career advancement training from caring and thoroughly trained staff. 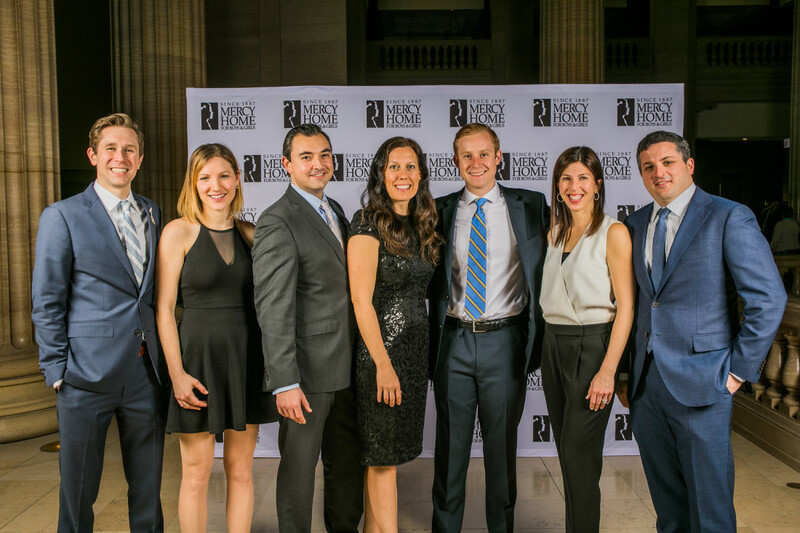 Pictured above (from left) Josh Cauhorn, Kate Cauhorn, Eric VanderPloeg, Sara VanderPloeg, Jake Jumbeck, Julie Roter and Blake Roter. Josh Cauhorn is a member of Mercy Home’s Associate Board.